When I received Drug’s album In[tune]ition last October I was blown away – the “prog-rap” (at least as I labeled it) that he had come up with was impressive to say the least. Even to someone who wouldn’t call themselves a big fan of rap or hip-hop, the sampling and beats that were on the album were very creative and definitely not what you’d hear on most albums in the genre today. This latest album, NIGHTOWLS, is a little more straightforward in the tracks that lie behind the words – though they aren’t quite as unique and “out there” as some of what I heard on his latest album, they serve the sound of the album very well. This said, songs like “Shoot You Dead” and “Lurk” really do some interesting things with their tracks – reminiscent of the what I heard on In[tune]ition. The other thing that stuck out to me on the former album was its lyrics – it stayed away from the boasting of wealth and fame that most rappers can’t actually back up. Instead, it told stories – some very personal and dark. 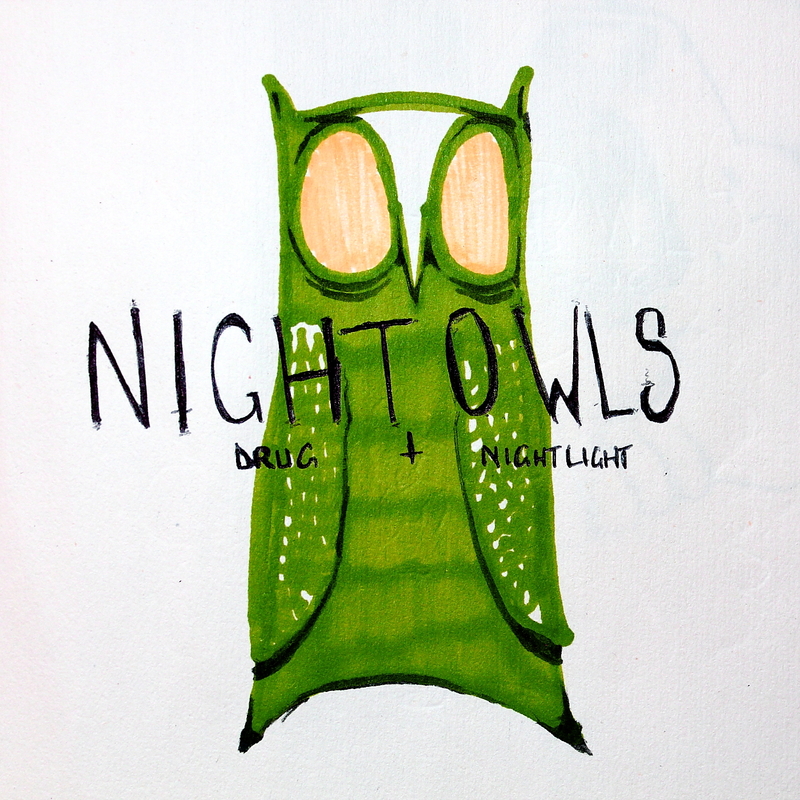 What I find unfamiliar in the sound of NIGHTOWLS, I find familiarity in the quality of the lyrics. Though some of the subjects might not be surprising – plenty of allusions to weed find their ways onto a lot of the tracks – the songs about lost friends and mental grief are standouts of the album. If you didn’t think that Kentucky was the kind of place conducive to the production of rap and hip-hop, give this a listen. Drug + NightLight have put together a really fresh album here. Tracks I Liked: Zeitgeist ft. K10!, Shoot You Dead! !, Lurk!! !, Progression!, Gutter Glitter! !